Browse: Home / Viper updates – Tool for automating penetration testing tasks. 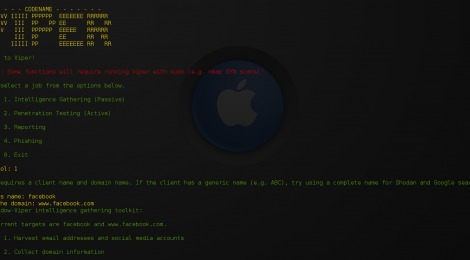 + lib/scan_tools.py : EyeWitness target list output. + setup/web_ports.txt : Fixed weird repeating lines. 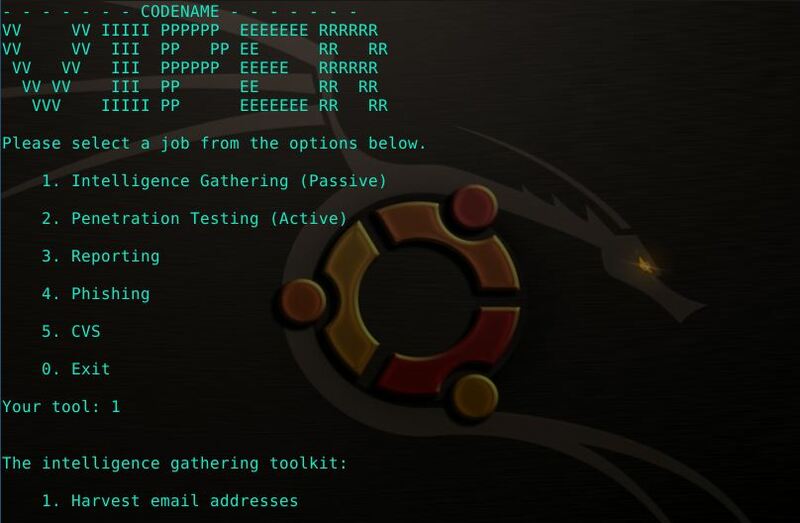 viper is A Python tool for automating penetration testing work, like intelligence gathering, testing, and reporting. + Email harvesting with theharvester. 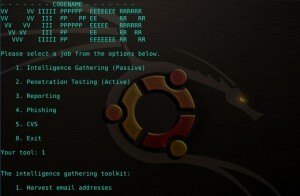 + File discovery via goofile and Google Hacking. 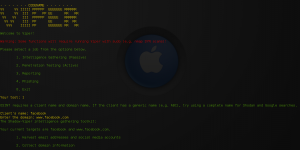 + Investigating targets with DNS tools, urlcrazy, Shodan, and more. + Actively scanning targets with nmap and masscan. 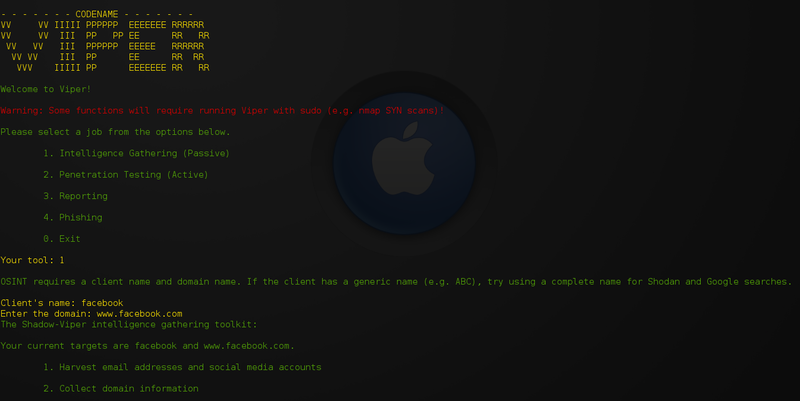 + Parsing scan results to find ports of interest and target them with tools like httpscreenshot and Nikto. + Managing reports and files for tasks like joining multiple Nessus files and parsing Burp reports. Note: you must have shodan api. ← Discover updates – Custom bash scripts To automate various pentesting tasks.